Today Alix asked me whether I had seen the elephant heart in Toronto. I have not. 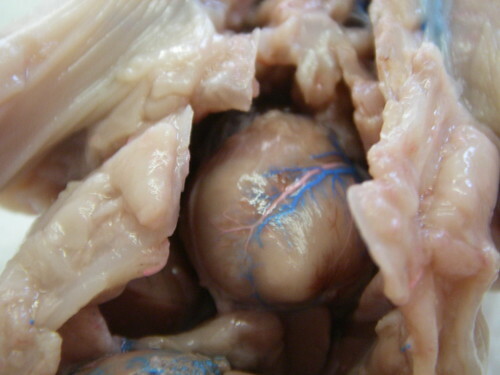 I have dissected a cow’s heart though. Then I was thinking of all the things I have dissected in k-12 science classes and how clearly I remember each thing, the first cuts into each thing, my lab partners, the instruments, the conversation. Most of the dissections happened in elementary school. From some of them, I saved the lenses from the eyes. These are the things I’ve dissected. This entry was posted in Uncategorized and tagged childhood, memories. Bookmark the permalink. I got my head stuck inside the abdomen of a dissected woman once over Christmas in anatomy lab. Someone fainted at the sight of it, although at times, I wonder if it wasn’t the strong smell of formaldehyde.